Three flyfishermen have spent 2 weeks at the Tugur River. We were fishing the Konin & Munikan Rivers, and the upper part of the Tugur River. 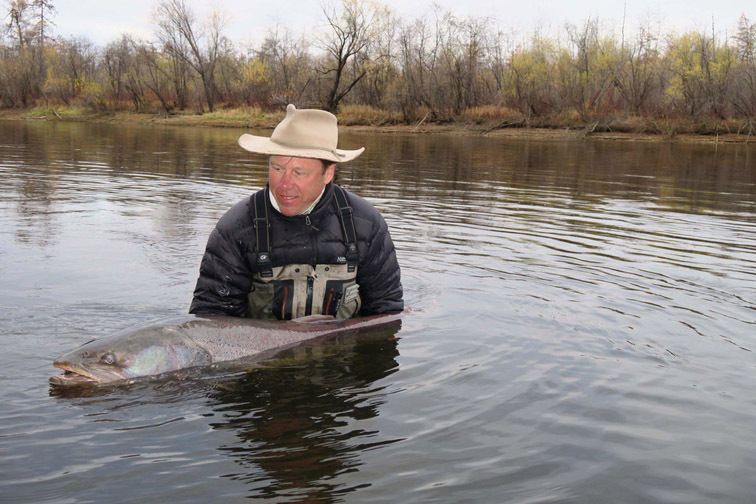 World flyfishing record - the weight of this taimen is 34,2 кг!